So. After you've baked and cooled your cakes, tear off 3 strips of wax paper, about 4-5 inches each. Lay them in a triangle along the edges of your pedestal, overlapping as necessary. Set your cake in the middle of the pedestal. You should have a fair amount of wax paper hanging out each side, so that the pedestal's top is completely covered by either wax paper or cake. Then frost away and don't worry about drips, smears or crumbs. 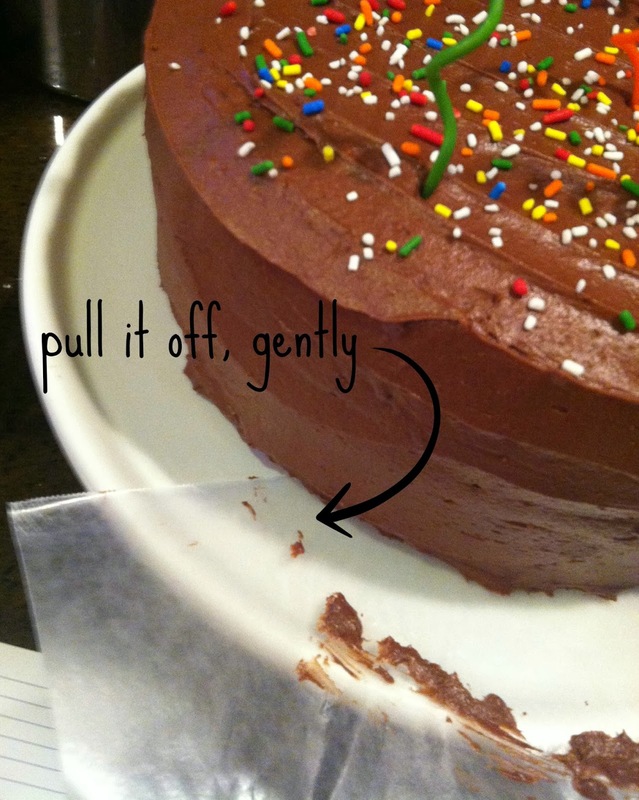 Once the cake is finished, gently pull each piece of wax paper from under the cake, off the pedestal. 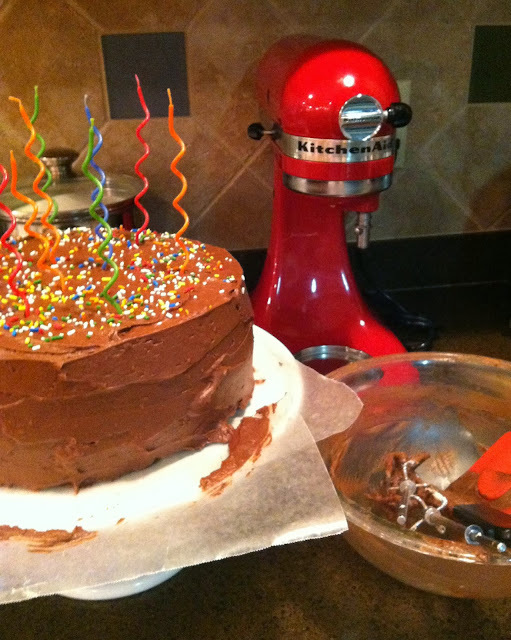 And there you have it: a clean pedestal for a picture-perfect cake. One other tip? 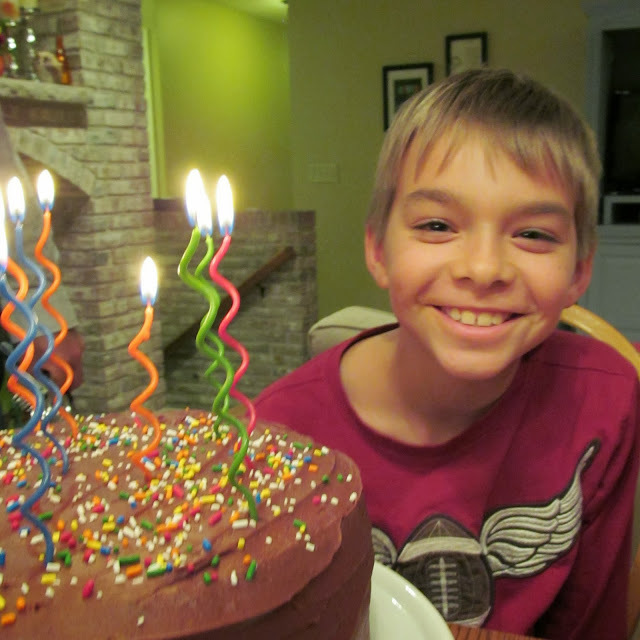 When layering cakes, put the tops of your cakes facing each other, toward the middle. That way, if there is any doming in your cakes, the uneven surfaces will be inside, where the center layer of icing can hide the imperfections. You always want the flattest surfaces to be on the bottom of your platter, for stability, and face-up on the top of your cake, for a professional finished product.